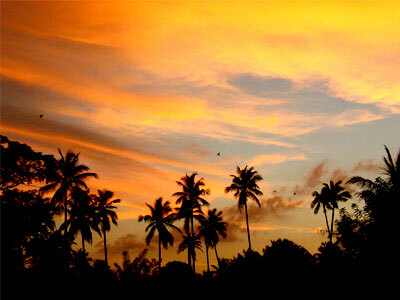 Pahamune House is located in the North Western Province of Sri Lanka. The Centre is a 40,000 square foot building sitting amidst 6 acres of lush palm trees. It was originally designed and completed as a college for higher education, but has been made available for the aforesaid purpose. The large building consists of four storeys with facilities for approximately 300 children. The building also includes bathrooms, class rooms with the required chairs and black boards, ample space for libraries and lecture halls. There is a kitchen and seating area. . There is a large playground for sports. 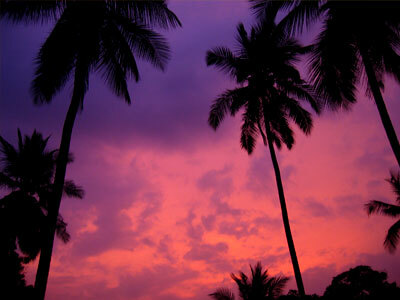 PH is approximately 1 ½ to 2 hours by car from Colombo. It can also be reached by train, with the closest train station being the Kurunegala railway station. There are three hospitals within the vicinity. Two of the larger hospitals are approximately ½ an hour by car. They are the Kurunegala Hospital and the Kuliyapitiy hospitals. In addition, there is the Katupotha hospital which is approximately 15 minute by car. The building has been made available to Pahamune House by the A.M.M Sahabdeen Trust Foundation (incorporated by Act of Parliament No 3 of 1991). The Pahamune House is registered with the Department of Probation and Child Care Services and National Child Protection Authority. The activities of Pahamune House are looked after by these authorities. 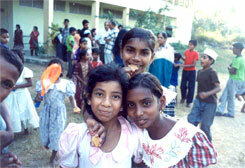 50 TSUNAMI AFFECTED CHILDREN ARRIVED at Pahamune House on the 17th of January 2005. The children together with their guardians arrived at PH after a 9 hour journey, having left their temporary refugee camps in Batticalo the Eastern Province of Sri Lanka. A further 42 children arrived on the 14th of February 2005. 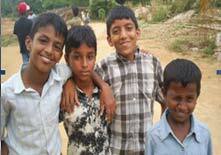 The children now being housed and provided with a full time education at Pahamune House attend full time school. In addition, they learn English as a compulsory subject at the Monsoon Hall(funded by the Monsoon Trust U.K.)at Pahamune House. To house, feed and educate children, displaced, orphaned or destitute as a result of the Tsunami disaster on the 26th of December 2004. Mainly Children who have either lost both their parents or one of the parents or lost all their belongings in the Tsunami disaster. Boys and girls aged over 6 years from very low income families. 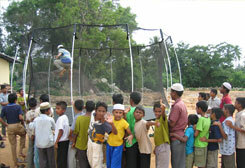 Children belonging to various religious or ethnic group who are in desperate need for help. Abandoned children needing custodial care. The Monthly cost of feeding a child is approximately Sri Lankan RS 6000 per month (USD 50.00) . A new kitchen has been constructed to ensure that the children receive fresh and healthy meals on a daily basis. ALL the children at Pahamune house have been admitted to local schools and receive a full time education. The vocational studies school has commenced at Pahamune house in January 2006. 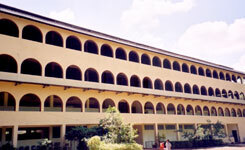 The much awaited Monsoon Hall was completed in 01/2006. The vocational studies school now holds classes in English, Basic computing, sewing ,Jewellery stone setting , Art and other courses during the afternoons. The Pahamune House children are encouraged to learn a skill with a view to following a career in their area of interest. 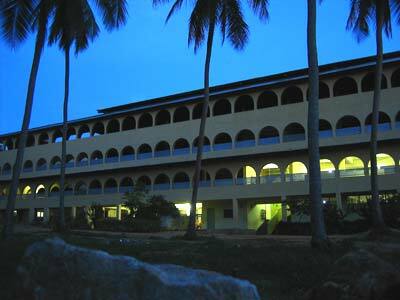 The Pahamune House vocational studies school is registered with Tertiary and Vocational Education Commission, Sri Lanka. The 7th Anniversary of the Tsunami having passed, the children at Pahamune House have much to remember and ponder about. However we have not forgotten our promise made to these children to give them a future, in order that they may return to their home towns and villages as strong, confident individuals who can benefit their community. 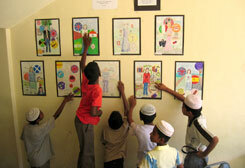 We have had seven volunteers from the UK, teaching the children English and Drama. This was achieved with the help of David Summerscale, on behalf of the UK Headmasters Association, leading to a better understanding between the volunteers and the children and their respective cultures. Established an Information Technology and Computer Centre with library, funded by our "Friends from Dubai." The children are actively involved in sports on a daily basis and periodically visit their home towns to meet friends and family. Send Pahamune House students to schools in Europe and the U.S. as summer placement candidates to further their education. We need qualified teachers with a TEFL qualification, who are willing to volunteer their services for a period of 6 months or more. ASSISTANCE AND FUNDING TO BUILD TWO SEPARATE HOSTELS, A SICK ROOM, A LIBRARY AND A RECREATION CENTRE. 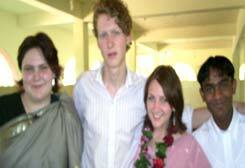 London & Educational Advisor, Sri Lanka, Delhi.